Ashlee joined CTBS in 2012. 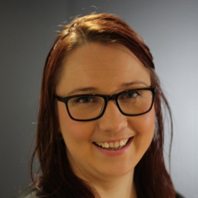 Ashlee worked in the Self Managed Superannuation Division for 4 years and has been managing the division for since mid-2016. Ashlee has a passion for Superannuation and the opportunities it presents our clients in growing their wealth for retirement. Ashlee is currently completing her Bachelor of Commerce at USQ.